C. L. R. James (1901-1989), one of the most important intellectuals of the twentieth century, expressed his postcolonial and socialist philosophies in fiction, speeches, essays, and book-length scholarly discourses. However, the majority of academic attention given to James keeps the diverse mediums of James's writing separate, focuses on his work as a political theorist, and subordinates his role as a fiction writer. This book, however, seeks to change such an approach to studying James. Defining creolization as a process by which European, African, Amerindian, Asian, and American cultures are amalgamated to form new hybrid identities and cultures, Nicole King uses this process as a means to understanding James's work and life. She argues that, throughout his career, whether writing a short story or a political history, James articulated his attempt to produce revolutionary, radical discourses with a consistent methodology. James, a Trinidad-born scholar who migrated to England and then to the United States and who described himself both as a black radical and a Victorian intellectual, serves as a definitive model of creolization. King argues that James's writings also fit the model of creolization, for each is influenced by diverse types of discourses. James rarely wrote from within the confines of a single discipline, instead choosing to make the layers of history, literature, philosophy, and political theory coalesce in order to make his point. As his West Indian and Western European influences converge in his work and life, he creates texts that are difficult to confine to a specific category or discipline. No matter which writerly medium he uses, James was preoccupied with how to represent the individual personality and at the same time represent the community. 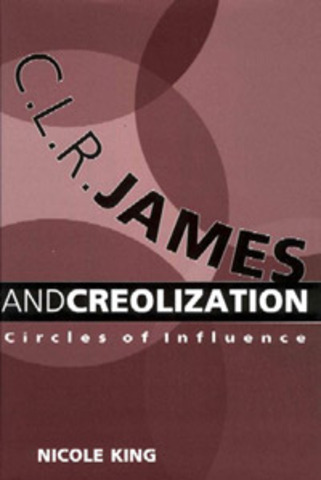 The C. L. R. James that emerges from King's study is a man made more compelling and more human because of his complicated, multilayered, and sometimes contradictory allegiances.